Food retailers and wholesalers deem traditional supermarkets as their main competition and see the expansion of online grocery as both a pressure and an opportunity, according to The Food Retailing Industry Speaks 2018 survey by the Food Marketing Institute (FMI). Forty-four percent of respondents cited conventional supermarkets as having the most impact on their sales and profits among competing retail formats, FMI found in the study, which polled 101 food retail and wholesale companies that represent 33,300 stores. Related: Omnichannel retail sales for FMCG hits $1 trillion in U.S. The next most-cited competitors were supercenters (38%) and natural/organic stores (24%), followed by club stores (19%), limited-assortment stores (16%), nonfood retailer online sales (14%) and brick-and-mortar online sales (13%). Though online sales are a competitive concern, 40% of companies surveyed project their online sales to rise. And while the same percentage foresee margin pressure from price comparison apps, 25% expect their basket size to grow amid consumers’ changing shopping habits. Sixty-three percent of respondents reported online sales for 2017. Yet those companies’ total online sales accounted for just 1.3% of their overall revenue, FMI said. Weekly online transactions averaged 2,205. The average online transaction was $116, compared with $34.61 in physical stores. “Food retailers who reported online sales sell an average of 27,000 SKUs online, but the totals by retailer vary considerably, from just a couple of thousand SKUs to as many as 80,000,” the study found. In terms of total online sales in 2017, 33% of companies said they generated over $10 million, 37% tallied $1 million to $10 million, and 30% had less than $1 million. Sixty-four percent reported online sales increases of more than 10% versus 2016, while 33% had gains of 1% to 10%. Only 3% saw online sales decline year over year. 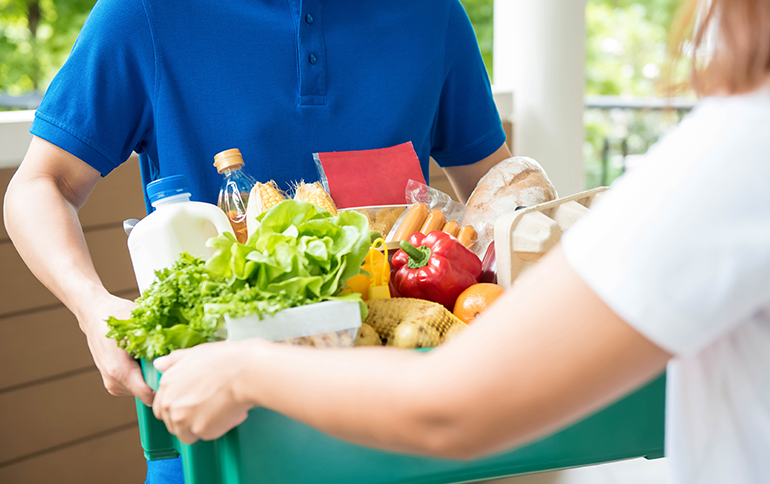 Food retailers do see themselves making headway in online grocery services, however. Of the 51% providing online shopping with delivery, 35% said they’ve had success with the service. Similarly, 33% of the 48% of retailers offering online shopping with pickup report a successful program. 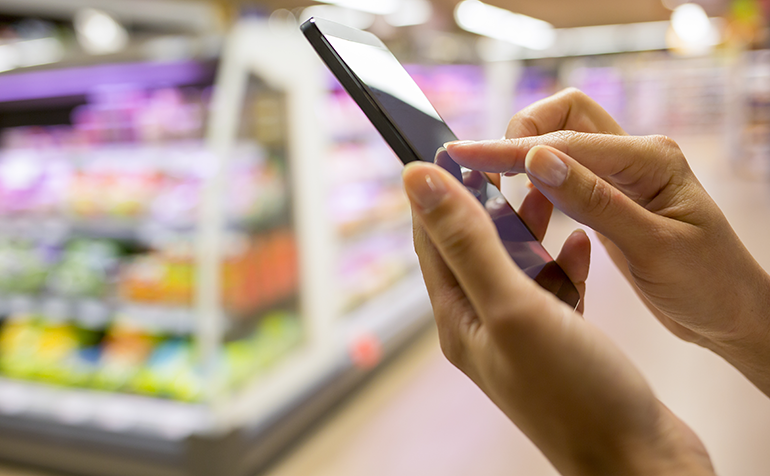 Among other services, 57% of retailers with a frequent-shopper or loyalty programs said it’s successful, and 64% are making strides with efforts to improve the checkout experience, according to the Speaks study. Success rates were less for such initiatives as a more upscale shopping experience (46%), consumer health and wellness (33%), in-store dining (30%), a coffee bar (30%), one-stop shopping (26%) and catering (26%). And of the 79% of companies using social media, only 28% reported success. On the product side, retailers reported a good level of success with a local assortment throughout the store (58%), private label (56%), a deli prepared and/or foodservice program (52%) and a storewide organic selection (51%). Low rates of success in product differentiation were seen with family meal solutions (22%), a gluten-free assortment across the store (21%) and meal kits (15%). Also, only 33% of the 84% of retailers with product innovation and new item strategies reported success. Average weekly transactions per store inched up to 13,201 in 2017 from 13,117 in 2016, while the mean transaction size grew to $34.61 from $30.02, FMI reported. Use of self-checkout lanes edged up to 15%, and express lane usage fell three percentage points to 15%. The average weekly sales per store among companies polled was $406,186, and they had average SKUs per store of 30,098. Of the companies surveyed, 62% posted increased same-store sales in 2017, while 4% saw no change and 34% experienced a decrease. The average gain across respondents was 1.7%. Smaller retailers reported better results. Same-store sales rose 5.9% for retailers with one to 10 stores, 0.1% for retailers with 11 to 100 stores and 1.8% for retailers with 101 or more stores. Looking ahead, retailers and wholesalers said they expect to get a sales/profit lift from consumers’ focus on health and wellness, the “food as medicine” trend and the local/national economy, according to the survey. They also expect a positive impact from shoppers’ changing ways of consumption and demand for transparency. Companies were split on the effect of technology/omnichannel investments, with 34% expecting a positive impact and 35% expecting a negative impact on sales and earnings. Weighing on their minds are the cost of health care benefits, interchange fees, energy costs, competition (traditional, online and nontraditional), upward wage pressure and the ability to recruit and retain employees.